If you feel your loved one has been hurt, injured, abused, or neglected in a nursing home, know that there are better options out there. Our website is designed in order to help you fight back against these various forms of misconduct. Even though our site was designed to answer many of your questions, we encourage you to give us a call about your situation. We can help. There are plenty of signs you can see with regards to nursing home abuse and neglect. Nursing home neglect is when the actions of providers falls below a reasonable standard of care. Ignoring or failing to follow a physician’s orders will fall under ‘neglect’. Abuse happens when there is an intentional action that injures a resident, such as causing physical harm like assault. Are money damages awarded in a nursing home case? Money damages are awarded in nursing home cases. Those who pursue nursing home cases are sometimes some of the most serious and highest awarded lawsuits. Whether it’s abuse or neglect, filing a lawsuit can and should be done. The damages awarded will come down to a variable of factors. The type of abuse or neglect will determine the amount that will paid in punitive damages. During this process the amount that the nursing home is willing to pay will usually be lower than the amount demanded in the demand package. When this occurs, the parties will try to work on a settlement package. Following through with the suit and taking it to court can be very time consuming. Taking the suit to trial comes with various risks to the parties. Which is why negotiated settlements are advantageous to both parties. There are very few nursing homes that are willing to offer a fair settlement. Most nursing homes will fight to the very end, in order to prevent paying any damages. In the case of neglect or abuse, it is best to partner with us as your attorneys as we will be able to file a lawsuit and follow through with any proceedings. 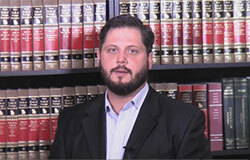 Generally before a lawsuit is filed, both parties will come together, in order to see if the demand package can be met. A demand package is prepared by us, and is simply a summation of the facts of the claim, with all the evidence to back it. The package will contain a specific amount of money in order to settle the claim, in exchange for the promise not to pursue the claim. From this point both parties will usually try to negotiate a settlement value, in order to avoid trial. We are Schenk Smith, your Winder nursing home lawyers. We focus strictly on suing negligent nursing homes, that’s it. The reason that all of our information centers on nursing homes, is because all of our efforts are dedicated to helping those who have been neglected, and abused in nursing homes. Our passion for helping those neglected in nursing homes comes from our founding attorney Will Smith, who was a CNA in nursing homes in Georgia for 10 years prior to becoming an attorney. Once you’ve had the chance to watch our videos and listen to our podcast, please give us a call so that we can schedule a meeting and seek the damages that are rightfully yours. It doesn’t matter where in Winder you’re located. Whether you’re by the Barrow County Museum, Masseys Lake, or Fort Yargo State Park, we’ve got you. Nursing Home Abuse & Neglect in Winder, Georgia – What you need to know. Winder, Georgia is located in Barrow County and has a population of 15,148 residents. Of those, 15.10% are aged 65 and older. As with other cities in Georgia, elderly abuse happens on a frequent basis. Do I have authority to act on behalf on my loved one? The authority to act on behalf of a loved one depends on the status of the resident. If your loved one passed away due to negligence or abuse, then you can file a claim against the nursing home. In the event of a wrongful death case, the specified supervisors of the deceased, will be able to make a claim for the full value of life. Also the estate of the resident can bring a claim for medical bills, funeral expenses, and any pain or suffering that may have occurred prior to death. If the resident is currently incapacitated due to dementia or some other disability, then someone else can bring the claim on their behalf. This person will usually be the individual who was named in the resident’s power-of-attorney or conservatorship documents. If the resident is capable of acting on their own behalf, then they may be able to hire an attorney and go through the process of making a claim on their own. Everything is dependent on the facts of the case, and the severity of the injury. My loved one fell down – is the nursing home responsible? A nursing home is responsible for the fall of a loved one if the nursing home fails to take an assessment, or to implement precautions. It’s impossible for a nursing home to prevent every fall, but nursing homes are required to reduce the risk of fall injuries. This happens by assessing the risks for each resident. In doing so, nursing homes will be able to assess which types of precautions are needed, in order to lessen the likelihood of a fall. During an assessment a resident may be classified at a high fall risk depending on a couple of variables. Provide a low hospital bed with the brakes in locked position. Provide fall mats at bedside. Implement hourly observations, and assist the patient when they need to use the restroom. Ensure that the resident’s room is close to the nurse’s station. Provide pressure alarms to alert staff in the event that a resident attempts to get out of bed. Provide the resident with a fall-risk bracelet and a door magnet/flag to alert the staff that they are a high fall risk patient. If these requirements are not met, then the nursing home will be negligent in the event of a fall. What resources are there to find another nursing home? What is the quality of the living arrangements and food? What are the daily routines and activities for the current residents? My loved one was hurt in a Winder nursing home – What do I do next? If your loved one was severely injured or passed away at a Winder, Georgia nursing home, then we recommend that you act as soon as possible to protect your loved one’s rights. The Healthcare Facility Regulation, which is a division of the Georgia Department of Community Health, investigates and looks into complaints of abuse and neglect at nursing homes. This same department also regulates and certifies nursing homes in all of Georgia. Another option to look at is filing a complaint through the Georgia Office of the State Long-Term Care Ombudsman. This group consists of individuals who are dedicated to resolve complaints and issues between residents and their nursing homes. Ombudsman are trained and authorized by law to go into nursing homes and ask questions. If you or a loved one have suffered from physical assault or abuse directly from a nursing home staff or another resident, it is in your best interest to file a police report. Depending on the severity of the situation, charges may be brought against the staff or the resident by the Barrow County District Attorney’s Office. For abuse occurring in a Winder, Georgia nursing home, report the crime to the Police Department of Winder, Georgia or to the Barrow County Sheriff. Depending on the severity of the neglect or abuse that may have occurred, it may be best to search and find another facility. There are other homes that are trustworthy and safe, and that do accept Medicare or Medicaid. But sometimes it is a bit difficult and time consuming to find the right facility. The Centers for Medicare and Medicaid Services (CMS) have created a website that has scores for every nursing home in the county that accept Federal funding. These scores are based on quality, nurse-to-resident ratio, and inspection scores – guaranteeing you the right fit for your loved one. For your convenience, a list of all nursing homes located within Winder, Georgia is located below, along with their contact information and inspection scores. Nursing homes will stop at nothing to blame your loved one’s preexisting health conditions as the reason for any injury or medical problem. Regardless if there is a sufficient amount of evidence, nursing homes will not blame their own behavior. Which is why obtaining medical records is extremely important in the event that negligence or abuse takes place. Investigating your loved one’s potential claim means uncovering their diagnosis, the treatment, and the cause – which are often found in their medical records. In order to obtain these records, you will need to file a formal request, meaning you will need to have the appropriate, written authorization. This type of authorization comes in the form of a power of attorney, healthcare directive, or guardianship paperwork. If your loved one was injured in a Winder nursing home, then it is likely their medical records will be located at a hospital nearby. The contact information is listed below. When someone passes away, the right to sue does not get terminated. The deceased person’s rights to recover are handed over to the Estate in order for them to recover. For example, the plaintiff of a lawsuit will go from being “John Smith” to “The Estate of John Smith”. An Estate though has to be established before a lawsuit can ever be filed. This means that the surviving spouse or relative has to petition the Probate Court of the County in which the deceased passed. If your loved one has passed, then you need to make sure that an Estate is set up, and that you’ve appointed a representative. The personal representative – often called an Executor or Administrator – will then act on behalf of the Estate. This person will make the decisions regarding the lawsuit. Click here for the Probate Court of Barrow County. No two nursing homes are alike. Here is a list of the nursing homes in Winder, Georgia, along with relevant information for each. This information is taken from CMS’ Nursing Home Compare Website. 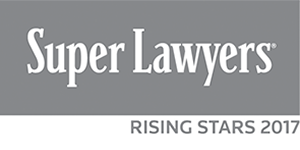 Recognition: Our attorneys are of the highest quality as they have been selected as Georgia Super Lawyer Rising Stars. With our focus being solely on nursing home malpractice, we promise to offer you top notch service that has been recognized by others. We’re not just lawyers, we are educators, and we will strive to show you why our attorneys are Rising Stars. Focus: We are not a general practice law firm. All of our resources are not stretched out to various industries. Our tools and skills focus solely on suing nursing homes for abuse and neglect. That’s what we do. We are passionate about helping families recoup any damages, while providing them peace of mind. We do our absolute best in order to achieve the results you and your family are looking for. 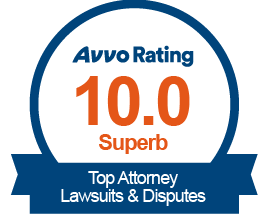 Industry Leaders: With millions in verdicts and settlements, we feel we are the best rated law firm to suit your needs. If you don’t believe us, just search us on Google. You’ll see that we are the best Google reviewed law firm in Georgia that focuses on nursing home cases. Our highly positive client feedback is evidence of that fact. If your loved one was injured or died in a Winder, Georgia nursing home, please call us at Schenk Smith (678) 823-7678 for a free consultation. You can also check out hundreds of video FAQs on our website.